It has been raining for a very long time and everyone was hiding out in a cave. Elmer grew tired of the bad jokes and weather complaints, so he decided to go outside for a little peace and quiet. Elmer walked in the rain even though the animals in other caves begged him to come inside. Elmer noticed that much of the land near the riverbanks had flooded. He spoke to the crocodiles and ducks who loved the rain and the extra water on the ground for swimming. Then Elmer met two elephants who were worried about their missing child. Elmer went looking for him and found him stranded on a small island in the water. Elmer went back to his cave and asked all the animals to help him rescue the young elephant. The monkey brought a vine which they used as a rope to ferry Elmer across the flood water. 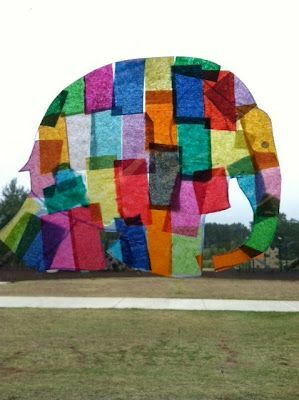 Elmer put the young elephant on the ferry and sent him back to his parents. The animals played a trick on Elmer and untied the rope so that Elmer was now stranded. Elmer laughed and said he was happy they did, now he could get some peace and quiet. 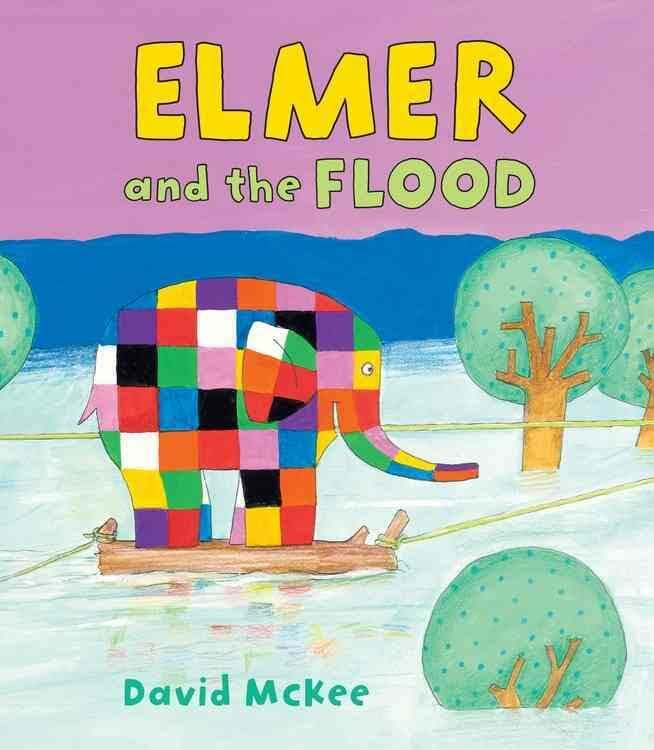 The newest in the Elmer series, this story will delight the patchwork elephant’s fans. 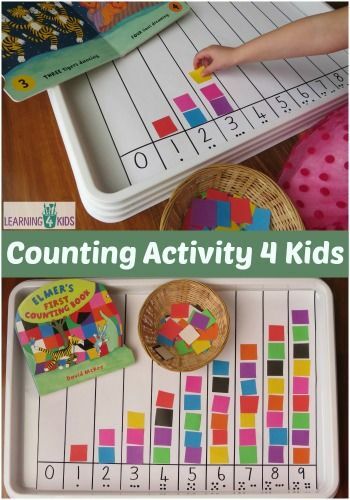 Elmer is a staple in many preschool and kindergarten classes. 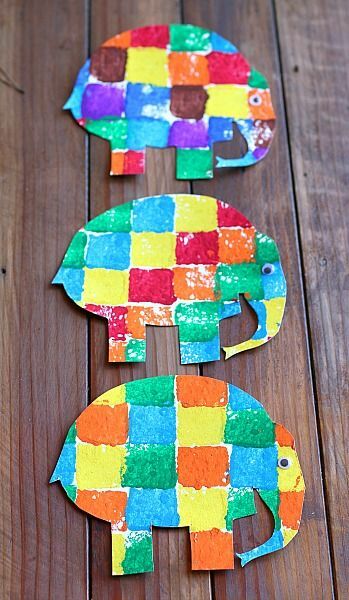 And there are many Elmer inspired arts and crafts for the little ones to do. 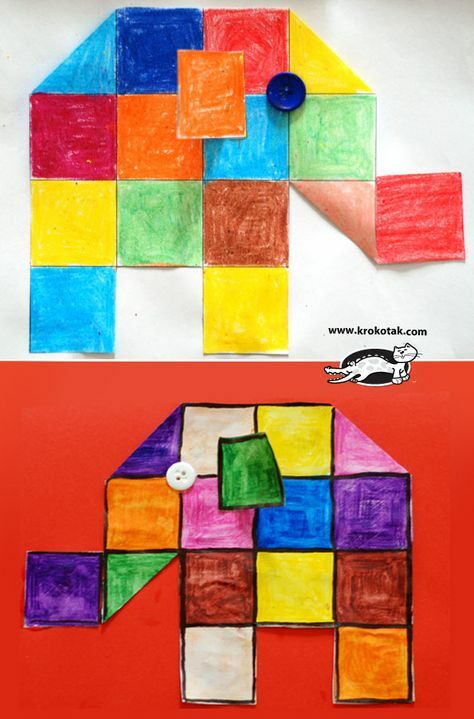 Check these out and try something with your Elmer fan.